The Hunger Games: Mockingjay Part 1, the penultimate film in The Hunger Games franchise, has been available on Blu-ray for a while now, but today, the movie makes its debut over at the streaming service Hulu. 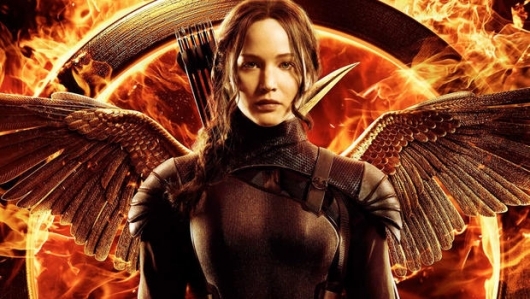 Starting today, October 23, 2015, Hulu subscribers can stream the 2014 Francis Lawrence-directed sequel, which stars Jennifer Lawrence as Katniss Everdeen, two-time survivor of the famed Hunger Games, now a symbol of rebellion. 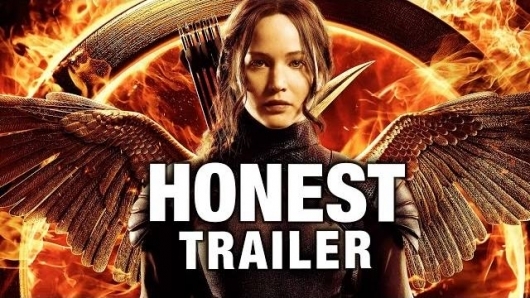 Watch the honest trailer for The Hunger Games: Mockingjay Part 1 here below. The Hunger Games Franchise comes to an end in the final two films. 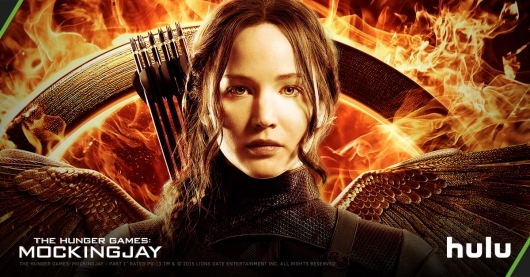 Lionsgate has just released the final trailer for The Hunger Games: Mockingjay – Part I. 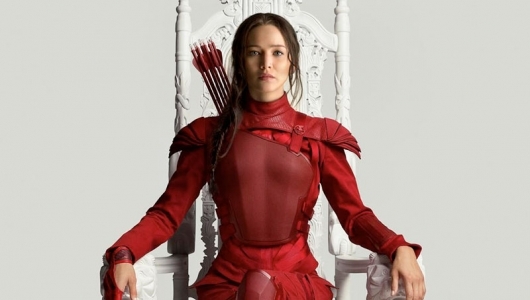 The film sees Katniss be the living symbol of the revolution that seeks to bring down President Snow’s tyranny. Pushed to be the leader of District 13 after witnessing the destruction of District 12, her hometown, Katniss will have to go up against President Snow and his army, as well as some old friends. By the looks of things, the first half of the Mockingjay films is the darkest we have seen, but will have the kind of entertainment that will have us hoping that the final half would come out sooner than later. Hit the jump to see the final trailer for The Hunger Games: Mockingjay – Part I. 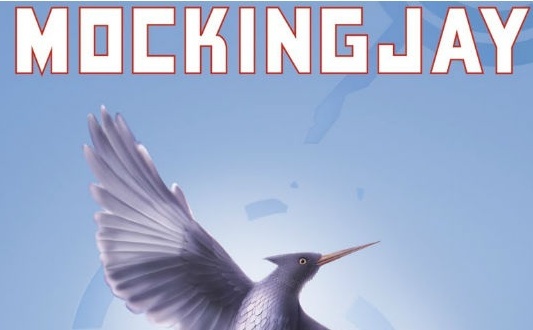 A new teaser trailer called “Our Leader The Mockingjay” has been released for The Hunger Games: Mockingjay – Part 1, the third and penultimate installment in Lionsgate’s The Hunger Games film franchise. The teaser shows us the start of Katniss Everdeen’s (Jennifer Lawrence) joining the rebels in their fight against the Capitol. President Coin (Julianne Moore) and Plutarch Heavensbee (Philip Seymour Hoffman) discuss how Katniss she must be the leader who inspires the rebels – she must be The Mockingjay. 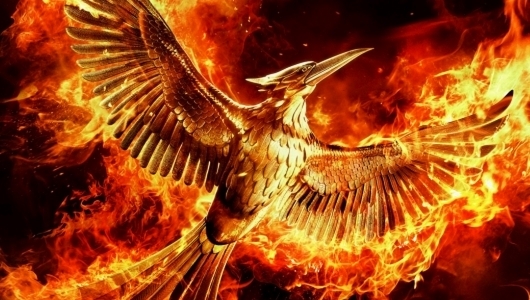 Liongate is set to premiere the first official teaser trailer for The Hunger Games: Mockingjay – Part 1 on Friday at San Diego Comic-Con. In advance of the teaser trailer, the studio has released a limited edition Comic-Con poster, created by artist WK Interact, for the film, which will be available at the Con. Check out the full poster image here below. Production for Catching Fire, the sequel adaptation for Suzanne Collins’ The Hunger Games, is already underway with Francis Lawrence (Constantine & I am Legend) serving as director. 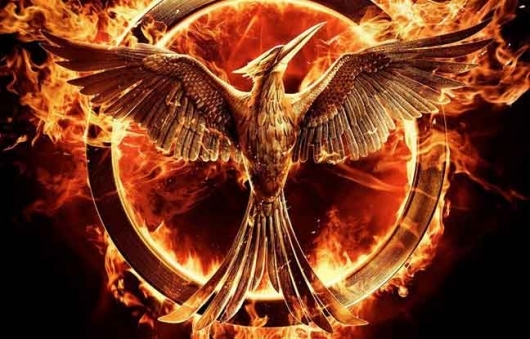 Originally it was thought that Lionsgate would move forward with a new director overseeing production for the two-part finale adaptation of Mockingjay. Well, that is no longer the case as Collider reports that Lawrence will be directing the final two films of The Hunger Games trilogy. Collider was the very first to discover details the latest deal, which is still very hot so it could be a while before Lionsgate officially announces the deal as set. Game Changer screenwriter Danny Strong is currently busy adapting the final two parts of Mockingjay. The Hunger Games: Mockingjay Part I arrives on November 21, 2014, and The Hunger Games: Mockingjay Part II hits theaters the following year on November 20, 2015.